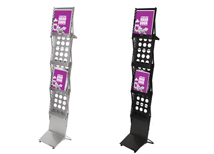 Portable literature racks are ideal for trade show and other events that require quick set up and tear town. 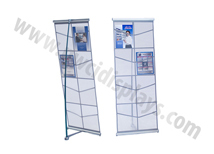 All of our literature racks are stylish so you can display your brochures and catalogs effectively. 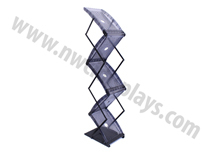 These portable racks are also very practical and easy to ship from show to show. 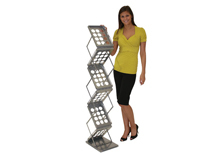 Aluminum and wood construction makes every lit rack durable and able to withstand years of abuse. 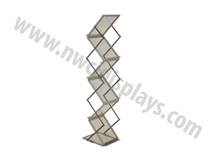 We also offer bamboo and podium lit racks for added style and usability!